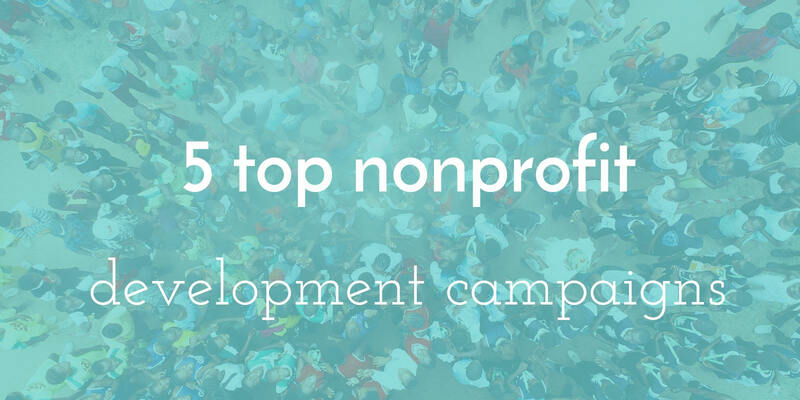 Best nonprofit campaigns to energize your creative mind. Feeling tuckered out? 5 top-performing campaigns to energize your creative mind. Working in the nonprofit realm, it’s easy to look at all the things left on your to-do list and feel glum. Instead, what if you looked at all the things you did do, and let that lift your spirits? Maybe it can even inspire you as we approach another year. We always like taking a moment at this time of year to give a shoutout to all the work you’ve done. We’d also like to keep you inspired so you’re ready to approach 2018 with a bang! Now, it seems like a fairly simple concept – donating toys before the holidays for children in need is something many of us have done. Yet there are several aspects of the way Toys for Tots went about this that we can serve as a reminder for all of us. Remember your roots: Rather than employing the assistance of just anyone, Toys for Tots asked the United States Marine Corps Reserve to help. The founder of Toys for Tots, Bill Hendricks, was one of them back in 1947, so they’re keeping ties to their meaningful history. Meet donors where they’re at: Usually, donation charities have to ask that you bring a toy to their center. Toys for Tots met donors where they’d already be. They set up shop in front of the Packer game and made it possible for guests to also donate money if they didn’t bring a toy. The donors will have to walk past the group to get to the game so they’ll be more likely to participate. Obviously, Apple is a giant company and (RED) is a giant nonprofit. So maybe their partnership isn’t exactly surprising and doesn’t feel like an achievable one for your nonprofit. But here are some things they did that can help get your creativity flowing. Make sense: Apple and red go hand in hand as would Victoria Secret’s Pink brand with Susan G. Komen’s cancer research ribbon. When you’re stumped for which organization to partner with, think about who you are, what you do and how people see you. Find a corresponding organization that will have people smile when they see you working together. Add to existing purchase: Many nonprofits rely on a donation page or even direct cash/check payment. Apple donated one dollar from existing app purchases, both incentivizing people to buy more (benefitting Apple) and getting them to donate without a sweat (benefiting (RED)). Another note: Apple limited this to people who use Apple Pay in hopes motivated donors would finally sign up, another way to incentivize a company to partner with your nonprofit. Just one day: It’s tempting for your nonprofit to boost your chances of participation by increasing how long your campaign runs for. But it also is tempting for donors to say “I’ll donate later.” Apple changed all of their logos to red for just one day. Sounds expensive to do so in stores across the nation, but if you just changed something across social media or your website, it’s more feasible. 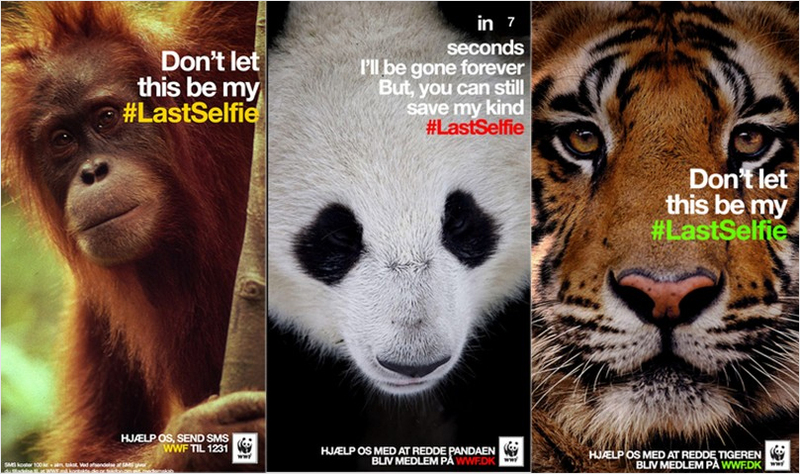 Stay relevant and relatable: Key in WWF’s efforts is how they used two simple Snapchat features, the hashtag and the selfie, and applied it to the issue. By having the animals/victims do what the viewer does on the daily, it makes them relatable. Plus, the interesting change of context makes it stand out. Underline urgency: One key feature of Snapchat is the countdown timer – after which, the image disappears. This emphasizes how time is running out and illustrates that these animals could disappear, too. Be direct: Something about the way these animals look directly at the viewer and also speak to them makes this campaign even harder to ignore. Instead of showing pics of animals from afar, WWF has their animals look right at the people who could help. When you think recycling, do you go straight to deep, personal stories? It’s not quite a natural relationship, but somehow Keep America Beautiful was able to tell an emotional, image-driven story about recyclables. They personified plastics and the like in a way that makes us think twice about tossing these objects aside. Don’t believe us? Watch! Don’t be limited: When struggling to come up with the perfect campaign, it’s easy to have excuses for as to why your nonprofit doesn’t have the perfect material to pull on heartstrings. However, as you can see above, it’s not about the subject matter, it’s about how you spin it so people care. Personify inanimate objects, speak directly to your audience and tell the full story. Paint the full picture: Another key trait of this video is how it shows the process from start to finish. From the daily life of the American recycling their milk jugs to the worker picking them up, to the processing plant to the park bench – it’s all clear how this works and how people can help. If you’re feeling limited by budget, take a note from this nonprofit. They relied on user-generated content to launch a highly successful video series that highlights the impact each big has on their little. Keep it simple: Sometimes we read blog posts (like this one) and feel totally overwhelmed because we can’t think of something as creative. However, BBBS kept it simple. They merely told the story of how this mentor interacts with his mentee. Seeing that could inspire someone to do it as well, as they learn just how meaningful this relationship has become. Tell more sides of the story: Instead of just talking about how the mentor feels about the situation, they ask the child how he feels as well as his mom. This shows how much one person can make an impact on a multi-faceted story. Ready to amp up your development strategy this year? We are. Talk to our team at ArcStone and we’ll help you from the ideation stage to the launch.